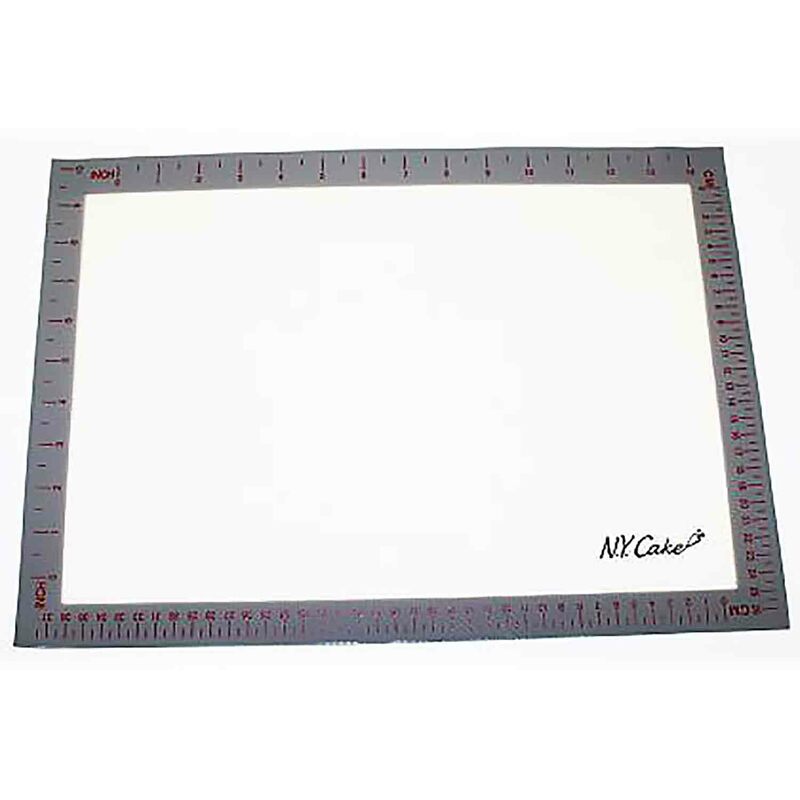 NY-10881 Units: 1 Dimensions: 11⅞" wide x 17" long Use mat for baking and cooking. Also works well for small fondant projects. Mat can withstand temperatures from -40°F to 480°F. Sides of mat are marked in inches and centimeters. This mat should fit most standard half sheet trays and pans. Do not cut on mat. Color of mat may vary. Use mat for baking and cooking. Also works well for small fondant projects. Mat can withstand temperatures from -40°F to 480°F. Sides of mat are marked in inches and centimeters. This mat should fit most standard half sheet trays and pans. Do not cut on mat. Color of mat may vary.